Soft color palette of light purple and green is a colorful wall mount frame including a double mat of light green and violet. The violet bottom mat has a 1/2 inch border. 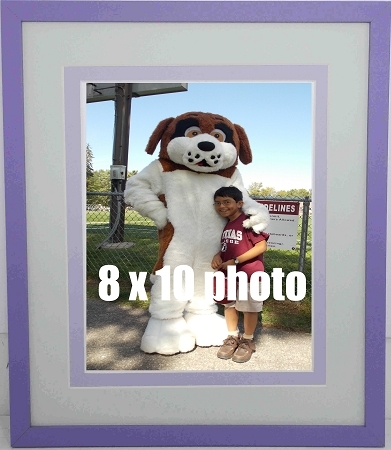 Contrasting medium purple wood frame with mat opening holds an 8x10 photo. Includes glass, photo mount board and wall hanging system.